Note: This blog was updated in October 2018 with the latest information about our hiring process. At SocialCops, we are a team of engineers, data scientists and entrepreneurs united by one common belief — that data intelligence can play a role in solving the world’s most critical challenges. And we’re always looking for passionate individuals to join our team. However, we are very particular about our team members. We’re proud of our team culture, and we protect it by being very careful about who we hire. When someone joins SocialCops, we want it to be a long term relationship. That’s why we invest a lot of time and effort into making sure that we hire the right people. Check out the rest of this post for more information about our hiring process, interviews, etc. We’ve also added some bonus FAQs related to each stage of the application. Interested in interning at SocialCops? We’ve talked about our process for internship recruitment in a separate blog here. You’re interested in working at SocialCops? Awesome! We have a ton of positions open, see what best suits your background, skill sets and interests. The first place you should go is our Careers site here. I don’t know what position I should apply for. Can you tell me? I’m sorry, but we can’t tell you what position to apply for. After all, we don’t know your interests, passions, strengths, and weaknesses — only you know that! To help you out, we’ve given a ton of information about each position — the responsibilities you’ll handle, the skill set we’re looking for, the challenges you’ll face, and what sort of learning and development you’ll undergo. I really want to apply for a certain position, but I don’t fit your qualifications. Can I still apply? Yes. If you think you’re qualified for a position, tell us why in your application. If you’re convincing, we’ll take your application forward. That being said, please consider the qualifications carefully. We create our requirements based on what we think it will take for someone to be successful in each role. If we’re asking for someone with 5 years of experience in marketing and you’ve only done a 1 month marketing internship, applying won’t be a good use of your time or ours. Yes, but we suggest you apply only for the position(s) that are the closest to what you’re looking for. It’ll help us process your application and figure out your perfect role faster! I don’t really fit into any of the open positions, but I still want to work at SocialCops. What can I do? The best way to start a conversation with us is by applying for a position. We are open to changing your position or responsibilities during the hiring process. Just include a note in your application about your concern or what kind of role you’re looking for. I want to come to your office and learn more about your positions or talk to HR. How can I do that? Unfortunately, this isn’t possible. Because of the high volume of applications we receive, we do not have time for candidates to come to the office unless they are interviewing. Dropping by the office or calling HR will not help your application, and we will not give you our address or contact information for this purpose. The second step is to fill out the application form itself. All applications include some basic questions about your background, followed by questions tailored for each role. The application form is a great chance to showcase what you are truly passionate about, what skills make you a perfect fit for the job, as well as why SocialCops excites you. Some applications also include a mini challenge. For example, we may ask Customer Success candidates to write a short email or editors to spot a grammar error. We’ve recently added these to our applications to quickly screen out candidates without the fundamental skills for the position they’re applying to. The mini challenge isn’t meant to take a long time, but it is important, so please complete it. Do I have to fill out the questions on the application? Yes. We’ve handpicked questions for each position, and we read the answers carefully to evaluate each applicant. They help us better understand you as a person, beyond your CV. Applications without answers to these questions are automatically rejected. How do I know if my application was submitted? You will immediately get a confirmation email after submission. If you didn’t, something went wrong. Check your application page and/or internet connection, and contact us at [email protected] if you can’t figure out what’s wrong. I submitted an application. When will I hear back? I have a question about my application. Where can I ask it? We get hundreds of questions about applications each week. Before you contact us, please go through all of our hiring resources: this blog post and our Careers site. If our resources don’t answer your queries, you can drop us an email at [email protected]. Can you tell me a secret tip about answering the questions on your application? Be genuine. We’re not looking for long essays full of cliched phrases we’ve already seen 18 times this morning. Honest answers are the quickest way to get our attention and move your application to the top of our pile. Once we get your application, we read through your answers, resume, and cover letter carefully. We don’t use a bot to screen initial applications. Lots of people from the SocialCops team will read what you wrote, so make it count! Every position is different, but across positions we’re looking for passion, hard work, and drive. We don’t necessarily care if you went to the best university; we care about what you did with the opportunities you were given. We love to see people stretching and striving to get the most out of their education or job through internships, extracurriculars, or promotions. In addition, we love honesty. We see so many boilerplate applications and answers every day, and they get boring. The people who really stick out are the ones who are honest about why they want to work with us and what they’re looking to get from the experience. CVs sent without answers to our application questions and/or mini challenge will usually get rejected, no matter how great the resume is. We care a lot about your application, and we want to see why you want to work specifically for us — not just why this role matches your current skillset. If you’re applying for Content, Partnerships, Support or other client-facing positions, the language on your CV and application should be perfect. Bad writing and grammatical errors will lead to rejection. We care about the details. We generally don’t interview candidates with shoddy CVs. We believe that the folks who join us are the ones who put in those extra hours to perfect the details. Don’t just tell us how you are really interested in “data science” and SocialCops would be a great place to learn it. Tell us how you uniquely will make a mark with SocialCops. Do your research on SocialCops before applying. If you call us a food delivery startup, you’ll probably be rejected. If you submitted a great application, we’ll invite you to a phone screening with someone from the team you’re applying for. The purpose of this call is to understand you and what you’re looking for better over a quick call, usually 30-45 minutes long. This doesn’t require any prior preparation, so just be yourself. P.S. Some people skip straight to our challenge, especially if their role fit and qualifications are really clear. It really depends on each application though, so don’t be surprised if you do or don’t get a phone screening call. If you skip it, we’ll cover any relevant phone screening questions in a later call. Next, we send each candidate a challenge to complete within 8 days. We’ve found that a hands-on challenge is the best way to see how talented and skilled someone really is. If you complete a challenge well, we know you’ve got the skills to really contribute to our work. Each challenge has been created to mimic the work that we do every day. For example, Growth Marketer candidates might be asked to create a growth strategy for one of our products, and Data Analysts may be asked to crunch some numbers. I can’t complete my challenge on time because I’m sick / there’s a family emergency / I have exams / etc. Can I get an extension? Email us about it as soon as you can. We evaluate extensions on a case-by-case basis. The challenge isn’t a good fit to demonstrate my capabilities or doesn’t match the type of role I am looking for. What should I do? Tell us! Send us some of your sample work and guidance on where the challenge doesn’t match up. We’ll figure out a different challenge or way to take the conversation forward. Every challenge is evaluated by several people from the SocialCops team. That’s why evaluating each candidate’s challenge can take time. We generally try to respond within 7 days, but sometimes it can take up to 14 days. Will I get feedback on my challenge? We usually don’t give individual feedback on each person’s challenge because of the volume of challenges we process each week. If we have concerns about your challenge, we’ll bring them up during the technical screening. If your challenge is great, we’ll accelerate you through the hiring process! At SocialCops, we really value feedback. In fact, being straightforward is one of our core company values, and we’d love to integrate this value into our hiring process. However, we haven’t yet figured out a scalable way to do that. To give a bit of context, our team reviewed nearly 8,000 applications last year. Even if we spend just 5 minutes per person, that’s 16 work weeks spent on feedback. As a small team, we unfortunately don’t have that time right now. But please know that we’re experimenting to figure out a way to give feedback scalably. If your challenge hit all the right points, we’ll invite you to a 30 minute to 1 hour phone call with someone from the relevant team. The purpose of this interview is to delve deeper into your skills. The technical screening can include technical questions, case studies, on-the-spot challenges, or a deeper discussion of your challenge. Don’t worry, we won’t ask you about things you don’t know. Each technical interview is customized to the candidate’s background and skills. If your technical screening goes well, our team will set up a 30 minute to 1 hour phone interview with our co-founders or HR team. This call helps us learn more about you as a person — how you like to work, how well you will fit with the team, and what your perfect role will look like — so please just be honest! How do I know if I’ll fit with the SocialCops team? What is the SocialCops office like? We recently updated our Careers site to include more information about our work, different teams and our culture. 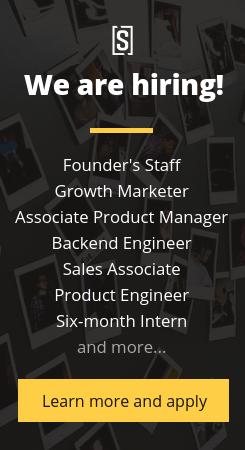 We even have detailed pages about our engineers and interns/recent grads. Check it out! It’s important to us that our team loves every new hire, and that every new hire loves our team. That’s why we invite each candidate to spend a day or two with us. It’s a great way to meet all of the team members, talk in depth with our co-founders Prukalpa and Varun, and learn more about our work. We also try to ensure that everyone who interviews with us gets a real taste of what it’s like to be at SocialCops. This includes you solving a challenge, a real-life problem statement being faced by the team, which should help you better understand the types of problems we solve every day. If we don’t end up giving you an offer after this visit, we’ll give you feedback on why. Hopefully it’ll help you understand what didn’t quite work out and help you with future job applications. Have any further questions or concerns? P.S. These steps aren’t set in stone. People who we really like will skip tasks or interviews to accelerate the hiring process. Similarly, people who we aren’t sure about may end up completing extra tasks or interviews to fully prove their skills. I am an Economist and data analyst. I have done M.Phil in Economics and have four years of research experience. I am interested to be part of the research and analysis team at social cops. I will be glad to know if there is an opportunity available. Do you have any remote positions? We are currently not hiring for remote positions. All roles are currently full-time based in our New Delhi office. When I was in my college final year(2018) and when I had applied for the same I at least got chance to perform in first round but now when I have more relevant skills and experience for the required position my application is not even considered. I am a bit confused that what is missing in my application that it is rejected. I request you to please give me a chance to perform. We are sorry this couldn’t work out. I am not sure about the role that you had applied for. But at this point, we are looking for a very specific kind of people — with specific skill set and experience that can help us in solving some of the problems that we are looking to solve currently. If you have any more questions or doubts, you can connect with our hiring team on [email protected]. Hello socialcops, i wanna know is there any openings for freshers. I have strong knowledge of apache big data hadoop tools and techniques and full hands on python! Hi Shiv, you can check out all of our job openings here: https://socialcops.com/careers/. If you don’t see something that’s right for you, just keep checking back. We update our job postings frequently. You can also sign up for our Inside SocialCops monthly newsletter, which gives updates on what jobs we’re hiring for. I have completed my Master of social work in 2007 .I have 10 years experience in Health Survey and community development sector. If you have any job regarding my profile please send me. Hi Arvind, you can check out our open positions on our Careers page: http://socialcops.com/careers. Do you consider CVs from people outside India- say Bangladesh or Pakistan? Yep, we do! We have several people from outside India working in the office right now. Kindly, share details of Salary n perks etc for the post of Relationship manager. Hi Jyoti, you can check out the Relationship Manager job description to learn more about it and apply. For general information on working at SocialCops, check out our Careers page. Could you also share info regarding the Salaries/Perks etc. for Graphic Designers? Would be helpful.